Peer reviewed articles, invited talks, books, lecture videos, and authored online resources. This is based on a talk I’m giving at the 2019 Bay to Ocean Writers conference Saturday, March 9th. Much like ekphrasis, which uses visual art as a jump off point, science articles offer both unique phenomena and highly specific vocabulary to build the scaffolding of poetry. And the substructure of ideas provides space for more esoteric, even spiritual explorations that link questions about grand design with the granularity of a narrator’s voice. In general, science articles provide examples of deep, underlying, non-linear patterns found in nature that can be mined for the bones of ideas that allow space for authentic emotional voice to emerge. And the observational phenomena appeals to the Imagist Poet in me. Scientific vocabulary and the specificity of meaning can be a barrier and a benefit. There’s a fine line between expecting readers to look up words and to learn ideas as part of their engagement with the poem, and locking them out with material that does not invite them into the poem. During the rewriting and shaping process, I keep returning to the question of accessibility. I often turn to intelligent lay readers for feedback on whether they felt left out of or included in the poem. I look for unique language and phenomena to weave interesting lines and phrases. We are all creatures of air. tissue we now drag through air. Another example, published in The Broadkill Review 2015, originated as an investigation into the developmental pattern found in Boneseed lilac (Osteospermum spp.) flowers, and how the elaboration of biological function was tied to a Fibonacci sequence (each number is the sum of the previous two numbers, geometrically creating a nautilus-like shape). It became a bit of a rabbit hole, pursuing Fibonacci, the mathematician and his effort to popularize Hindu–Arabic numeral system in West, which advocates numeration using digits 0–9 and place value. The math in those cultures had far surpassed western thinkers. Adoption of the new numbering system was transformational. The worm hole eventually took me into researching Pascal’s contribution to probability theory, specifically, Pascal’s wager – An infinite gain will always outweigh even a finite loss or gain. Therefore, it’s always more rational to bet that God exists. At some point the poem forced me to pull back so I could understand what I was actually seeing and to create the physical phenomena that would become the structure for the personal narrative to unfold. and counting itself into existence. At the end of the day, the creative process allowed me to push away from ensuring that everything was scientifically accurate. The song found in the structure and rhythm of the language, the sense of entering into new and potentially sacred space, all this needed to be present, to invite the reader into the adventure of finding out what poem was waiting to emerge. Both of these poems can be found in my book, The Acoustic Properties of Ancient People, published by Finishing Line Press. As I’ve studied medicinal plants, one intriguing question keeps cropping up – what is the biological rationale for plants investing in several classes of structurally varied plant secondary metabolites?. Certainly this question drives a number of researchers in the field of plant chemical ecology. Edwards et al (2008) provided some striking evidence from their study of bacteria resistant cotton (Gossypium hirsutum). They detected flavonoid pigments, chrysanthemin and isoquercitin, at unusually high levels in epidermal tissue of young leaves in response to Xanthomonas infection. These cells clustered around infected cells that had died because of the plant’s hypersensitive resistance response. 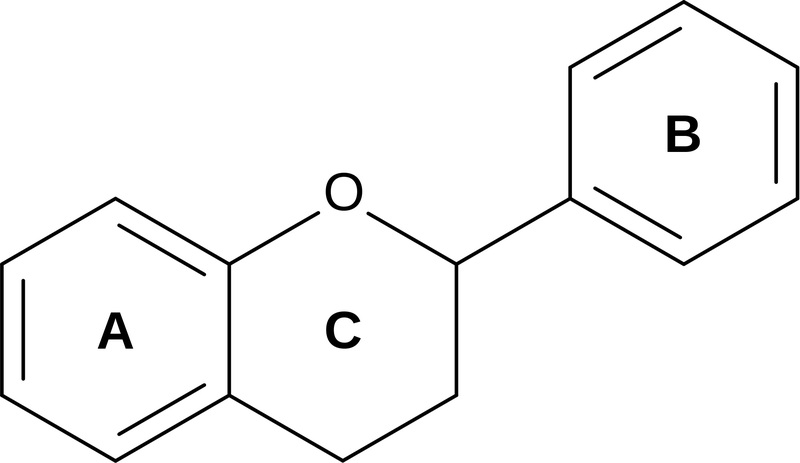 A very different chemical, a sesquiterpene, 2,7-dihyroxycadalene, acted as a light activated phytoalexin, destroying both bacteria and the infected plant cell. So what were the flavanoids doing to help out? 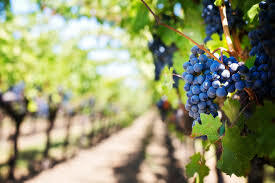 The presence of the flavanoids in surrounding cells appeared to filter sunlight, limiting the generation of free radicals resulting from light activation of 2,7-dihyroxycadaline. How’s that for compartmentalizing your response to friends and enemies? What’s the Best Way to Flirt with Mycorrhizal Fungi? Signaling molecules from either plant or fungi are perceived by the other using receptors. Many plants monitor their ecosystem for bacteria or fungi using receptor-kinases, which as cell surface proteins activate a signaling cascade in the cell to change it’s function in some way. Research groups continue to unearth various themes on this mechanisms for plant/mycorrhizal communication. One model, identified Lipochitooligosaccharides (LCO) as signal molecules used by nitrogen fixing bacteria (rhizobia) to alter how plant roots form a symbiotic relationship. Communication using LCOs allows plants to gain nitrogen from soil bacteria and bacteria to gain carbon in the form of plant sugars. Similar molecules are excreted by arbuscular mycorrhizal (AM) fungi. This research noted that a mixture of sulphated and non-sulphated lipochitooligosaccharides (LCOs) secreted from the AM fungi, Glomus intraradices, stimulated root branching and growth in the legume Medicago truncatula. Apparently, the diffusible chemicals activated plant root genes that code for a series of receptor kinase. In M. truncatula, rhizobium LCO secretions also stimulate the same symbiotic pathway. The researchers found this signaling effect active in diverse plant species. In other experiments, scientists found a hydrolase protein (D14L), which functions deep within the cell, modulating plant communication with AM fungi. This receptor had originally been characterized as a receptor for Karrikin, a plant hormone produced when plant material is burned. In species such as eucalyptus and the tobacco family, this hormone detects smoke and stimulates seed germination after fire has decimated an ecosystem. It allows those plants, known as fire chasers, to outcompete in the newly altered environment. What is particularly interesting – the same protein is part of early plant developmental interaction with light, and may have played an evolutionary role in plant emergence on to land. So burn a little incense, light a candle, offer up something sweet and see if your mycorrhizal fungus responds. You don’t need to burn down the entire house! Plants and organisms in the rhizosphere (area of soil surrounding plant roots) are living organisms and part of a complex ecosystem requiring communication skills. Two different classes of compounds are important communicators – flavonoids and strigolactones – both ubiquitous in plants across multiple taxa. 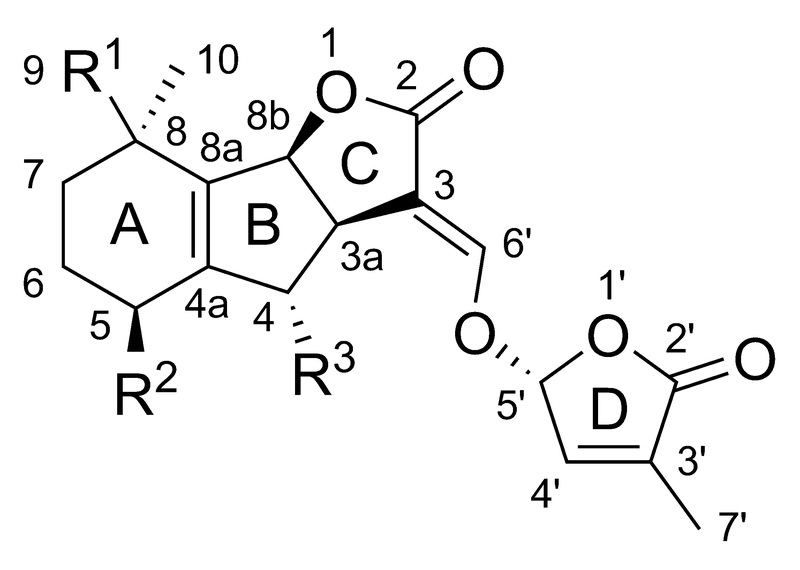 Of note, strigolactones were originally detected (Bouwmeester et al.) in plant root exudate stimulating seed germination of parasitic plants (genera Striga and Orobanche). These weedy species parasites host plant roots for nutrients. Flavonoid basal structures are highly varied, including flavones, flavonols, flavan-3-ols, flavanones, isoflavonoids, isoflavans and pterocarpans. They accumulate at root tips or root cap and makeup a large portion of root exudate. The fact these structures are easily modified and that their biosynthesis can be triggered by a numerous transcription factors points strongly to a role as elicited, signaling compounds. The conversation starters, the deal makers, they patrol the root neighborhood deciding who’s gonna join the party. Hassan and Mathesius (2012) noted in more technical terms that this localization allows them to influence the rhizosphere environment – increasing the bioavailability of both phosphorous and iron, inducing Rhizobium nod genes (for nitrogen fixation), determining host specificity, and influencing bacterial quorum sensing. They also influence soil fungi, both parasite and non-parasite, to investigate their environment by stimulating macronidial germination. These are spore structures that allow the fungus to remain in a dormant state until the surrounding soil supports their growth (Ruan et al.). Plants represent nutrient sources – the internal cell structures for parasites, and the substances released from plant root such as carbohydrates, organic acids, and proteins (root exudate) for non-parasitic fungi. One of the most fascinating chemical conversations involves how both flavonoids and strigolactones trigger AM fungi to investigate the rhizosphere more actively, by stimulating sporulation (breaking out of their dormant state), hyphal branching (similar to send out runners), and root colonization. Interestingly, changes to flavonoid ratios in root exudate can alter the symbiotic relationship and defines how mature the relationship is developmentally. Metabolic pathways in living organisms require dedicated gene expression. They tend to have been around a long time. Plants originated as aquatic organisms. They had no root systems. 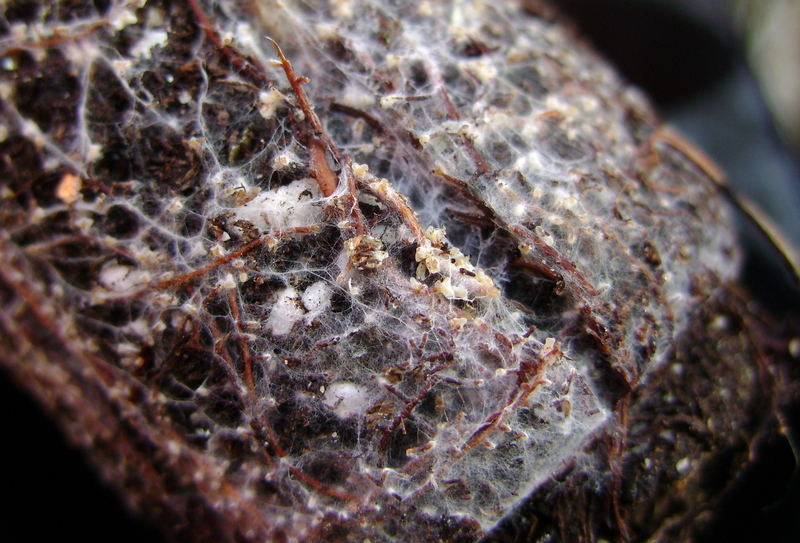 The prevalent theory on their terrestrial adaptation suggests that root exudate facilitated symbiosis with AM fungi, which allowed primitive land plants to survive by providing them an early “root system”. A paper by Delaux et. al. (2012) tested whether the presence of strigolactones in the aquatic green algae lineage may have helped them adapt to and colonize terrestrial environments. The researchers used a bioassay to detect branching of a AM fungus, Gigaspora rosea, to show strigolactones were present in the green algae Charales corallina. They also applied a synthetic strigolactone to C. coralina, which stimulated rhizoid elongation in the algae. Rhizoids were early “root-like” structures. The results beg the question of whether strigolactone biosynthesis predates AM fungal colonization and reinforces the idea that what survives adapts to changes in habitat, since anchoring to land increased the plant’s ability to acquire water and nutrients. Experiments on potato found that strigolactone may be involved in resource partitioning by maintaining phosphate and nitrogen homeostasis in plants (Pasare et al., 2013). Researchers reported that strigolactones enhanced plant association with AM fungi by increased branching of the AM hyphae (Giovannetti et al.). We see the effect of this type of chemical conversation, both internally within the plant and externally, with the fungus, to stimulate exploration. Strigolactones do also play a role as a plant hormone and appear to regulate axillary growth, lateral branching, and decreased apical dominance (Delavault et al.). This mimics the biological impact on fungi and suggestions that plants explore their aerial environment of air and sunlight. Rasmussen et al. (2012) noted the ability of strigolactones to impact root exploration in plants, limiting adventitious rooting by inhibiting the initial formative divisions of founder cells. These phenomena may point to the plant directing both the timing and directionality of new root growth in response to the presence/absence of appropriate soil symbionts. So then, what triggers strigolactone or flavonid secretions? What’s the chemical cross talk originating from the fungal side of the conversation?